What is secondary infertility, how to know when you have it and what you can do to maximize your potential to conceive. While previously giving birth provides most mothers with the comfort that they can easily conceive again, it is unfortunately not always the case. 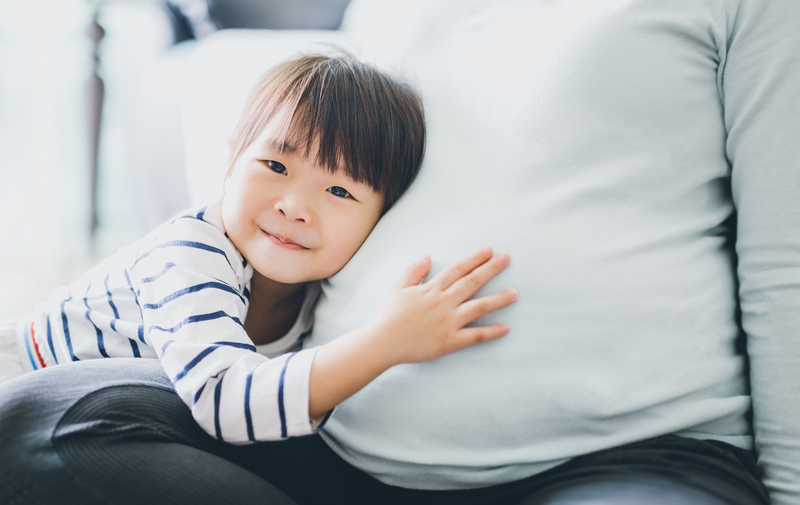 Secondary infertility can occur for a variety of reasons, leading to couples who have already had children together having difficulties to conceive another child. Luckily, there are infertility treatments available to those affected by secondary infertility. Below is important information about discovering, diagnosing and working with a fertility specialist in order to conceive again. Secondary Infertility refers to the inability for a woman to carry a child despite the fact that she has previously given birth without any assistance from fertility treatments. The struggles to conceive a second time can cause confusion for both the women and their doctors, as the fact that they had been able to naturally carry a full-term pregnancy before can prolong the diagnosis. How Common is Secondary Infertility? Struggling to conceive again is much more common than most people tend to think. Of all women who have trouble becoming pregnant, 60% of them are affected by secondary infertility. Studies indicate that secondary fertility is most common in women over 35, with the occurrences more likely the older they are. There is an even split of fertility struggles being 30% attributed to males and 30% to females, so it is recommended that women have their partners tested as well, in order to discover if the infertility stems from them. The cause most often associated with secondary infertility is age, however there are a wide range of other factors that can reduce the ability to conceive. Prior pregnancy complications can contribute to infertility as there can be medical problems within their bodies that result in issues for future pregnancy attempts. Damage to the reproductive system including ovulation disorders, uterine issues, fallopian tube trauma and endometriosis, all of which can prevent pregnancy. Natural bodily changes including aging, weight gain, medication taken since the last pregnancy. Infertility in the male partner resulting from the inability to produce or deliver sperm. If you believe that you are suffering from secondary infertility, then it is recommended that you consult with an experienced reproductive specialist that can offer a variety of evaluations to determine your fertility. There are separate tests for both women and men, with is being encouraged for both partners to be tested. Since the chances of infertility are quite even for both sexes, undergoing the evaluations for both can provide a true understanding of the issue. Prior to undergoing any tests, the fertility specialist with consult with you to understand your symptoms and the period that you and your partner have been trying to conceive for, then develop a custom plan for diagnosis. While there are some overall health improvements you can make in your life including quitting smoking, drinking less alcohol or caffeine, reducing stress and maintaining a healthy Body Mass Index, it is recommended that you contact an infertility specialist if you believe you are affected. For experienced, knowledgeable and comfortable assistance with any secondary infertility concerns, you can schedule your consultation with Matthew Connell, D.O. at Arizona Reproductive Institute today!